News - Page 5 of 7 - SeaWind Musical Instruments Inc.SeaWind Musical Instruments Inc. 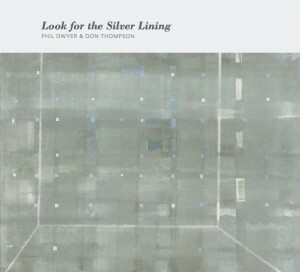 Send us a video of you trying one of our horns and we will mail you a copy of the Juno nominated cd “Look For The Silver Lining” featuring myself and Don Thompson and post your video on our Facebook page. Ask for our horns at Long & McQuade, Tom Lee Music and Valley Wind & Reed (Kelowna). If your local retailer doesn’t have horns in stock ask the band instrument manager to bring one in for you to try. Email your videos (along with your mailing address) to video@seawindmusic.com. 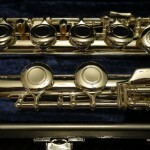 SeaWind saxophones, we’re sure that if you try them you’ll love them as much as I do. Congratulations to Taylor Donaldson of Montreal in guessing last months song “Let It Snow”. Here’s this month’s selection with Phil on his SeaWind alto sax. Send your name along with your guess to info@seawindmusic.com. Long & McQuade clinic this Saturday. Phil is presently on a western province tour with Diana Panton. Check out her web site for tour dates. He just happens to be going thru Saskatoon, and will do a clinic at Long & McQuade while he is there. It will take place Saturday March 15th, from 2-4:00 pm. New Monthly Contest-Name That Song. We’re very excited to announce that Tom Lee Music is now retailing our saxophones. If you have not tried our saxophones, please visit your local Tom Lee store and give them a blow. You can also visit them at www.tomleemusic.ca. Join Phil Dwyer for an informative session highlighting the new SeaWind Phil Dwyer Edition saxophones at our upcoming clinics at Long & McQuade. Phil will share highlights and anecdotes from his illustrious 30 year career, as well as practice tips and philosophies. Try one of the new SeaWInd horns and get a ‘mini-clinic’ with a true saxophone master.